Rating: Did someone say Ogden’s Nut Gone Flake? Well who wouldn’t if they looked in the mirror expecting to see themself i.e. ‘Robert Neville,’ but the image kept morphing from Vincent Price to Charlton Heston to Will Smith? Come again? 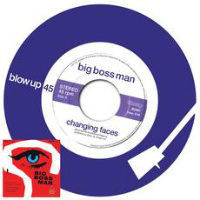 It’s Changing Faces – the latest single from retro-apocalyptic concept LP Last Man On Earth by funky UK mod-squad Big Boss Man of course. Imagine a psychedelic Small Faces-style wig out and you’ve basically got the picture. Not that you need to imagine – you can listen below. Guest vocals from Steve Marriott – I mean Al Greener. 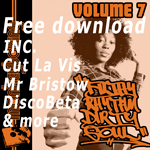 It’s all about the funkier instrumental psychedelia on the flip with a Blow Your Own remix.